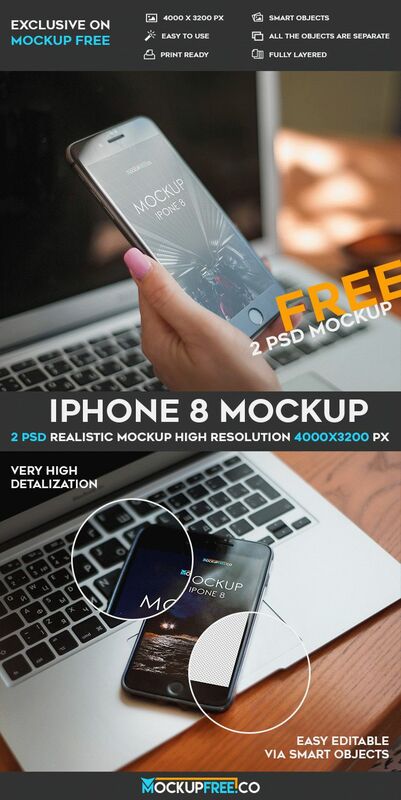 iPhone 8 – Free PSD Mockup it is our new work for your business and entertainment! Download it in you are going to present your mobile app, website or any other design. Download for free and enjoy!